On Wednesday, the greenback reversed some of Trump-led losses and build on to its strength after the Fed Chair Janet Yellen reiterated her stand to gradually raise interest rates. In her comments, Yellen said that the economy is close to full employment and that inflation is progressing towards the bank’s 2 percent goal. Earlier during the day, the greenback gained some traction from US economic data that showed yearly inflation rose at the fastest pace in five year, which fueled expectations that higher would prompt the Fed to opt for a steeper rate-tightening cycle. 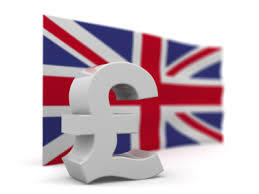 The GBP/USD pair was once again rejected from 50-day SMA hurdle and reversed over 150-pips from post-May powerful rally beyond 1.2400 handle. The pair even shrugged-off better-than-expected UK employment details that showed an unexpected drop in claimant count change and strong average earnings growth. Meanwhile, the EUR/USD pair also failed to benefit from in-line with expected Euro-zone CPI print and build on previous session’s strong gains to one-month high and dropped back below mid-1.0600s. Both the major were trading with mild positive bias on Thursday as market participants now look forward to European Central Bank's first monetary policy meeting of 2017. The central bank is expected to maintain status quo and keep interest rates and QE program unchanged. Market participants, however, will be focused on the subsequent presser, where ECB President Mario Draghi is expected to soften dovish tone and could support the EUR/USD pair's near-term recovery trend. From the US, housing market data – building permits and housing starts, accompanied with Philly Fed manufacturing index and usual weekly jobless claims data would also be looked upon for some short-term trading impetus ahead of Trump inauguration on Friday. Currently trading back below 1.2300 handle, a follow through retracement below 1.2250 immediate support is likely to accelerate the slide towards 1.2200 handle. A convincing break below 1.2200 handle would invalidate Tuesday's bullish spike and turn the pair vulnerable to head back towards 1.2150-45 intermediate support before eventually breaking to sub-1.2100 level. On the flip side, momentum back above 1.2300 handle might now confront resistance near 1.2320-25 region above which the pair is likely to make a fresh attempt to move back above 1.2400 handle and head towards conquering 50-day SMA strong hurdle near 1.2415 region. The pair reversed from an important resistance near 1.0710-15 region, marking 38.2% Fibonacci retracement level of 1.1300-1.0341 downslide. However, any further retracement might now find support at 50-day SMA resistance break level near 1.0600 handle. Only a decisive break back below this immediate support, leading to a subsequent break below 23.6% Fibonacci retracement level support near 1.0565 area, would negate possibilities of any further recovery and drag the pair back towards 1.0500 psychological mark, en-route its next major support near 1.0455-50 zone. Conversely, momentum back above 1.0665-70 area is likely to lift the pair back towards 1.0700 strong resistance, which if conquered might now trigger a fresh bout of short-covering and lift the pair immediately towards 1.0760-65 intermediate resistance before the pair eventually clears 1.0800 handle and head towards 50% Fibonacci retracement level resistance near 1.0820-25 region.